We go back to Rockville and revisit the band's sophomore classic. Today marks the 30th anniversary of Reckoning, R.E.M.’s critically acclaimed sophomore album for I.R.S. Records. To celebrate, senior staff writer Justin Gerber and Chicago Tribune writer Bryn Rich revisit a time when the now-defunct Athens quartet were still figuring out who they were and what they’d become. Bryn Rich (BR): The most interesting thing about Reckoning is how it feels like R.E.M. consciously took a step backwards with it. It’s only ten songs, there are little to no overdubs, and it was banged out in about two weeks with Mitch Easter and Don Dixon again. That’s pretty unusual for a band that was in the process of making their breakthrough, you know? While Murmur was experimental and ambitious, with its quiet, spoken-word intros and slowed-down recordings of Bill Berry playing pool, Reckoning was pretty straightforward and feels a bit odd in the context of the band’s output between Chronic Town and Fables of the Reconstruction. It lacks that dark, murky feeling that makes the early releases so interesting. Justin Gerber (JG): You make a good point about the straightforward approach the Athens quartet took, but I find Reckoning interesting because it stands out from what came before and what would immediately follow. I pinpoint the recording process the band undertook for Reckoning as the path that Peter Buck wanted to rediscover during the Accelerate and Collapse into Now sessions. Knock ‘em in, knock ‘em out. After taking too much time making Around the Sun, Buck told the New York Times that “Michael [Stipe] tends to think that the longer you work on something, the better it can be. But it doesn’t work that way for us. It just kept getting weirder and weirder and worse.” Reckoning is R.E.M. as a loose, freewheeling rock band. Unless you’re dressing up the proceedings with effects, ambiance, or samples, this is my preferred mode to create or capture rock music. I would also argue that the darkness still creeps in, especially in “So. Central Rain”, which builds into a repeating piano mimicking Stipe’s yowls of despair and regret. Its chorus of “I’m sorry” proves that two words can say as much as a thousand when it comes to songwriting. “Camera” is a track about a friend of Stipe’s who passed away (“Will you be remembered/ Will she be remembered?”), a rare personal story from the once-shy frontman. But the rest of Reckoning, for the most part, is urgent and unstoppable, with “Harborcoat” and “Little America” to name but two. BR: “Little America” (complete with its adorable tip of the hat to band manager Jefferson Holt) is an amazing snapshot of a band that spent a few years zigzagging across the South playing every pizza parlor, gay bar, and Army base that would have them. When you think about it, this might be R.E.M.’s most Southern album. “Camera”, “So. Central Rain”, and “Letter Never Sent” (“It’s been pretty simple so far/ Vacation in Athens is calling me”) all have lyrics that explicitly reference people and things from their adopted hometown, which is surprising considering how abstract Stipe’s lyrics were at the time. Between the lyrical love fest and working with Rev. Howard Finster for the cover art, this is the beginning of the band’s self-mythologizing of Athens and themselves. JG: I read in David Buckley’s R.E.M. Fiction: An Alternative Biography that Mike Mills enjoys “talking to the ladies,” and most of us are aware of Buck’s tendency to air rage, so wild behavior from the former Athens quartet isn’t too surprising. And who can forget Stipe’s bathroom selfie a couple years back. (I’m not linking to it, but feel free to seek it out if you wish.) Of course, Berry retired from music altogether in the late ’90s to become a farmer, so to each his own, I suppose. Or maybe the former drummer was “the quiet one.” Who would that be in Aerosmith? Tom Hamilton? “Time After Time” was my least favorite song. Pavement’s Stephen Malkmus spouts out facts but closes with an opinion, and one I happen to agree with. “Time After Time (AnnElise)” prevents this album from being a complete masterpiece in the R.E.M. catalog. The track trots along to Berry’s dull, marching band rhythms and Buck’s southern-tinged-yet-tedious guitar before being rescued by the energetic “Second Guessing”. Are there any songs you categorize as misses, Bryn? If so, do you agree that “Time After Time…” is one of them? BR: If I can be perfectly honest, Reckoning might be my least favorite of R.E.M.’s I.R.S. albums. That being said, I don’t think I would call anything R.E.M. did a “miss.” (Not even Around the Sun, but that’s a conversation for another day.) “Time After Time (AnnElise)” seems to get a lot of hate, but I don’t think there’s anything wrong with it. There was a pretty great live version released as a B-side a few years later called “Time After Time, Etc.” that combines the song with “So. Central Rain” and Peter Gabriel’s “Red Rain”. I don’t know if it’ll change your opinion, but it’s still pretty wonderful. Now, if I had to pick a least favorite song from Reckoning, I think I would have to go with “Camera”. I understand that the recording captures Stipe at his most vulnerable, but I feel like a rough take on a slow song totally kills the momentum that had been building up during the first two-thirds of the album. What do you think? Can you look past the rough performance on the recording and appreciate the song as a cathartic experience for someone who just lost a friend? JG: How you feel about “Time After Time” is how I feel about “Camera”, right down to a terrific live version I can recommend (off a bootleg from an Atlanta show during their short Up promo tour). I’ve always loved this song. It’s got this weird solo from Buck at its midpoint that kind of hangs there in desperation, waiting for Stipe to come back and sing. The lyrics are personal but not on the nose, which is something that so many artists (both known and unknown) fall victim to. On my end, I can appreciate it as a tribute as well as a pop song. In terms of album rankings, I’ve got it right in the middle of the I.R.S. records, but to tell you what I’ve pegged above it and below it is for a later time. I will say, here and now, that Reckoning is one of the best sophomore records of any band, any genre. The key to its success is that they kept rolling with what was working. They didn’t overthink the process. They kept the same producers from Murmur and cut it down to a lean tracklist of 10 songs. Also it just plain rollicks. I don’t know if I’ve ever used that word before, but there it is. 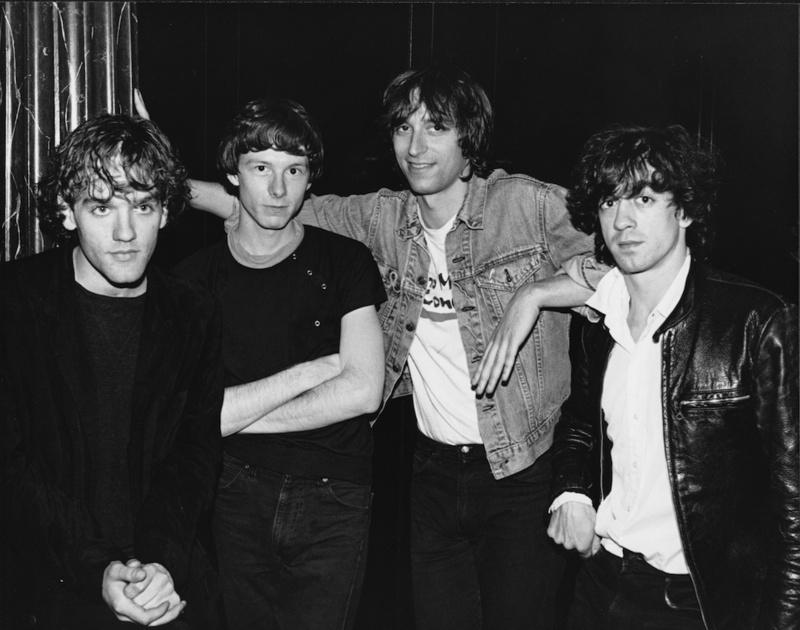 BR: R.E.M. was always great about building off of what they had already done. Whether it’s getting more direct with the political songwriting from Life’s Rich Pageant to Document or really getting into the folkier stuff on Out of Time after dabbling with it on Green, they were always a band that cared about tradition just as much as they did progress. Of course, that doesn’t really take place until a few albums in. What I like about the I.R.S. albums is the way you can tell exactly where they were at that moment. Fables is a band out of its element, ready to split at the seams. Pageant is a band that is starting to realize just what it’s capable of achieving. Document is when that band achieves it. As for Reckoning… There’s no great ambition or turmoil behind the album — just four bright-eyed, young men who aren’t yet aware of what R.E.M. was about to become.